Located on a hill overlooking the Blanco River, sits a ranch house that’s been owned by the same family since 1939. 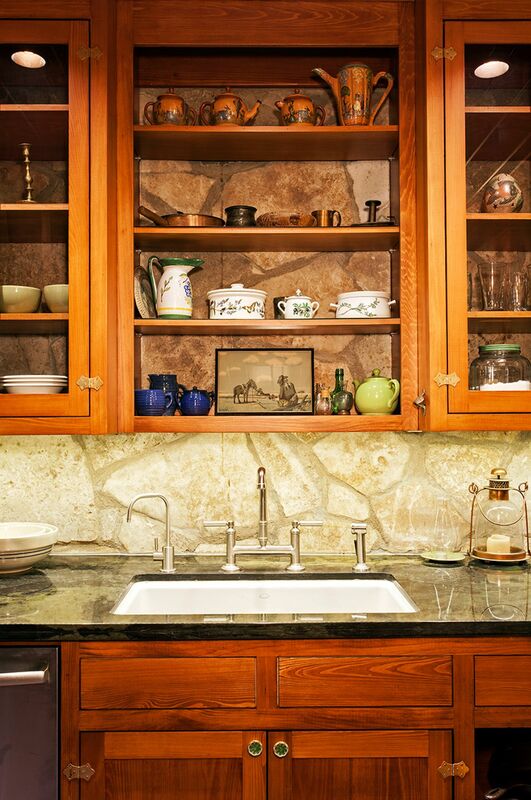 In the 1970’s, the kitchen went through a renovation to “modernize” it, which ended up hiding the natural qualities. The family updated the kitchen once more and brought back the old aesthetic with a contemporary twist. The new design accentuates the natural stone rather than hiding it. Updating this kitchen required both a reconfiguring of the space as well as an upgrading of the looks. 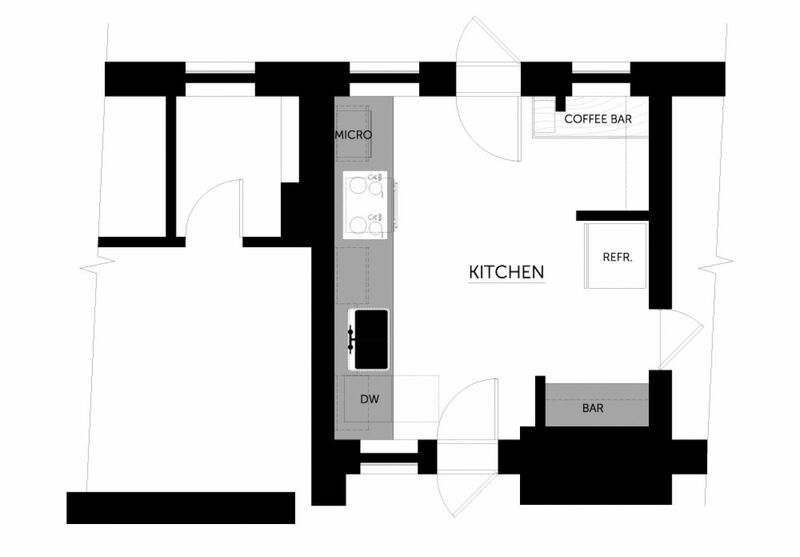 The removal of the extra side counters and downsizing the pantry allowed more room for the appliances to be placed in a more logical way, giving the space natural functionality and flow. With rustic elements reintroduced into this space, the kitchen highlights the home’s unique natural features rather than hiding them. The uncovered stone wall, contrasted with the wood cabinetry and stainless steel appliances, brings a rustic charm without feeling dated. With a more efficient layout, new fixtures, and new finishes, the kitchen is updated and functional, yet still full of charm. 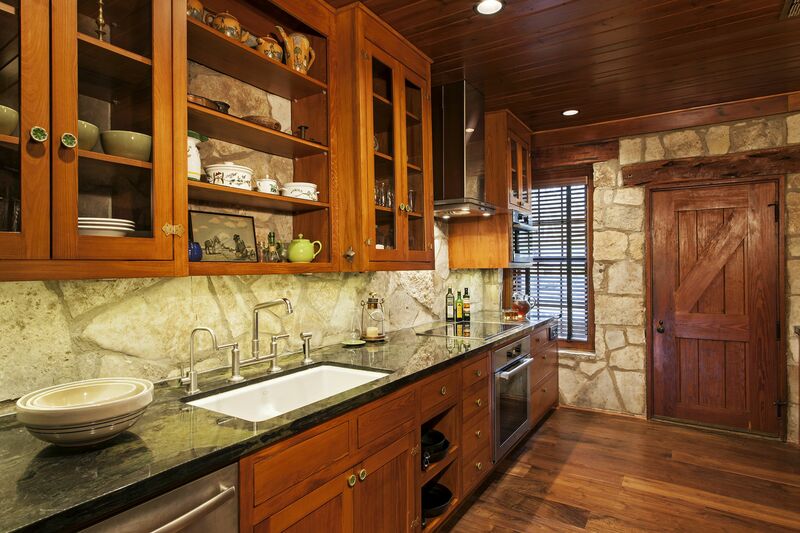 floor-to-ceiling laminate covered the kitchen’s original stone wall. Across the room, the refrigerator was placed in front of the old pantry and water heater closet, limiting the workspace. Outdated finishes throughout the kitchen made the space feel even older and clunkier. With this kitchen transformation, the family can now socialize and cook in the same place and appreciate the natural, historic beauty of the kitchen.